Celebrate LIFE !!! Enjoy and LOVE one another with all of you. College Park's-Conscience Artist Stacey Lane creates spiritual themes to convey God's Word. He also believes that whatever God gives to him, he is obligated to give back to the community. Stacey Lane was born Stacey Lane Patterson on May 24, 1965 in Detroit, Michigan and now resides in Maryland with his wife and four children. 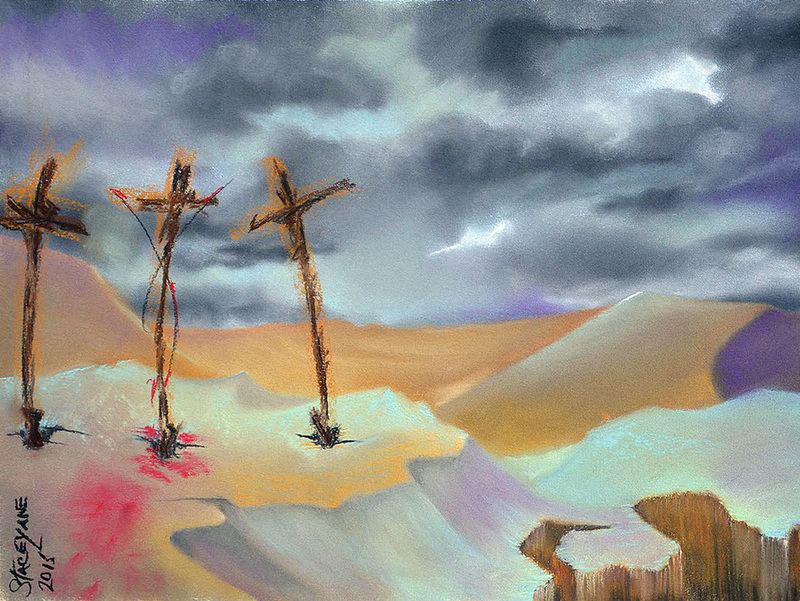 An artist devoted to his spiritual beliefs, he uses his love of pastels and water colors to bring the message of Christ in his semi-abstract art. His work is influenced by Matisse, Salvador Dali, and Monet. Each of his pieces of art introduce the viewer to aspects of Christ. This theme plays out in various ways as Stacey Lane boldly professes Romans 1:15-16 "That's why I'm eager to tell you who live in Rome the Good News also. I'm not ashamed of the Good News. It is the power to save everyone who believes, Jews and Greeks as well"